Most weeks we make a little butter. Because the milk is collected in a 20 litre container and repackaged into one litre bottles, the cream rises to the top after a day or two. All we do is decant the top 25-50 mm into a jug whenever a fresh bottle is opened. Sometimes we pour the entire 20 litres into our 25 litre stainless steel cheese vat and set the spare refrigerator to a low temperature overnight. This facilitates the cream rising and the broad surface area of the vat enables a quick collection of cream. For ordinary butter it is a simple matter of using the electric mixer to churn away until the butter forms. Our Kenwood Chef has a clear plastic cover plate for the bowl which stops splashes making a mess. Once the butter forms, pour off the butter milk for own consumption or feeding to the chooks. Stirring and rinsing the butter in fresh cool water is done as often as needed until the rinse water isn’t cloudy. If the butter is not for immediate consumption, we store in glass or food grade, freezer tolerant plastic containers with a small piece of paper inside giving the date. These keep very well in a normal freezer. Of recent, we have become devotees of cultured butter. All this involves is a little starter culture stirred in and left at room temperature for 16 hours. Because the cream is still cold when we start we only begin counting the 16 hours from when the temperature reaches about 20 degrees Celsius. The starter culture is from Cheeselinks but any good supplier of cheese making supplies will be able to recommend the appropriate starter. 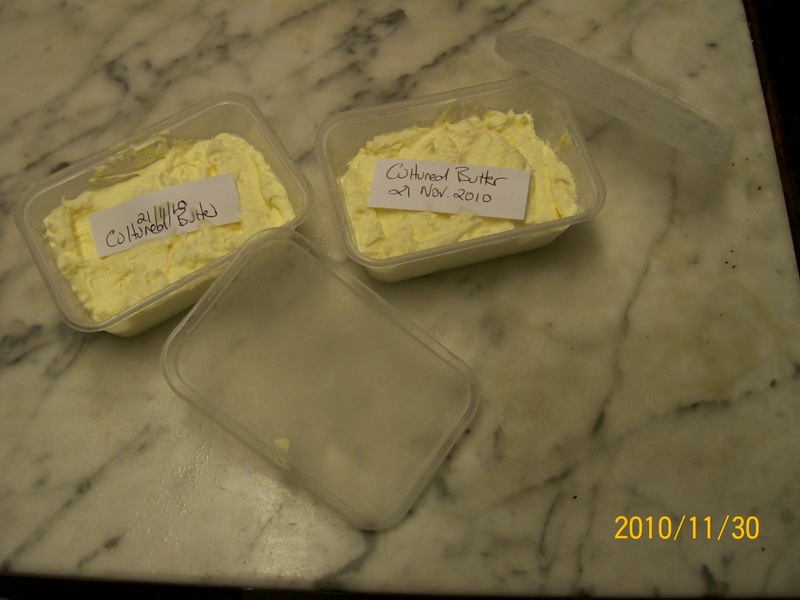 Cultured butter has an extra dimension of flavour and texture. We don't bother salting as we find the pure taste very acceptable. 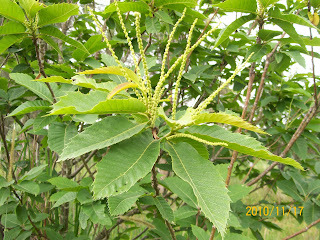 Over the last few weeks the various nut trees have flowered and have now formed catkins or nuts. 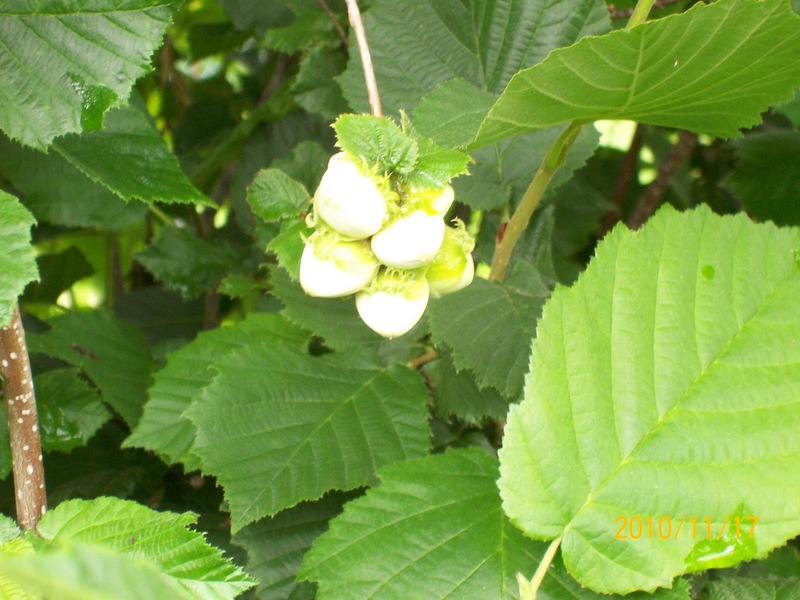 For only the second time we have Hazel Nuts and for the first time Pecans. One of the Almonds has a small crop while the other is bare. As usual the Macadamia trees are laden. These are so consistent that they have become our staple. The chestnuts are producing as well although in past years the fruit has been disappointingly small. Our Winters are not really cold enough for them. When buying olive oil in bulk such as 3, 4 or 20 litre containers, we try to ensure that as little oxygen as possible interacts with the oil. 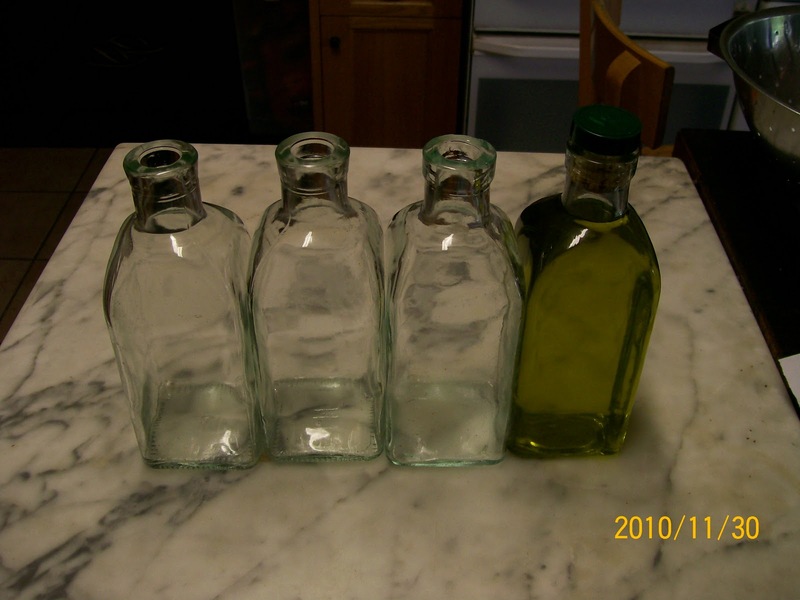 The 3 and 4 litre containers once opened are decanted into 500 ml glass bottles and corked while a 20 litre is decanted into glass flagons of 2-3 litres and then these, once opened, moved to 500 ml bottles. The glass containers are kept out of sunlight. This may seem tedious but it ensures the oil is kept at its freshest. There seems no value in publishing a recipe if it is just mediocre. Unless it’s an outstanding recipe in terms of simplicity and taste it won't get a mention in this blog. Hence with tomato season upon us, here is a recipe which is superb, can be made in large batches, has a long shelf life and all the ingredients apply to the same season. 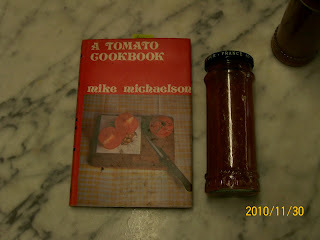 The recipe is sourced from Mike Michaelson's book A Tomato Cookbook and it’s called Fresh Tomato Ketchup. We have modified it slightly to make a chunky ketchup rather than a sieved sauce. It is a delicious adjunct to scrambled eggs or omelettes and many other dishes. Cook first three ingredients together in a large kettle, uncovered for 30 minutes. Add the remaining ingredients. You can put the chunkier spices into a bag for removal before bottling. We don’t bother. Bring to the boil for a few minutes then bottle in small jars. We love our wine and we love exploring different brands and varieties. In order to show some restraint in our purchases, we set ourselves a maximum limit of $12 per bottle (give or take a dollar or so). Be assured there are an unlimited number of quality wines available within this price limit. 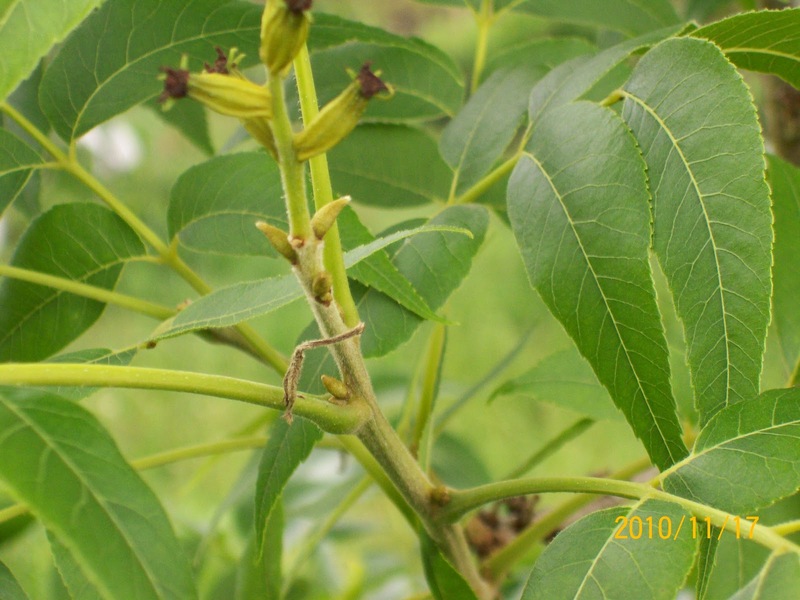 However, as with all things there is always one that eludes the price limit, usually an import from a very special region with wonderful health giving benefits or a particular variety which is highly regarded and rare. To overcome this price restraint has proved not excessively difficult. It is a matter of averages. As most stores offer an attractive discount for purchasing by the case it makes sense to collect a dozen different tasting samples and make good the discount. Given that, with a price ceiling of $12 that sets the case limit at $144. Naturally some of the samples will fall well below the $12. This allows the surplus from each bottle to be accumulated and put towards that sought after rarity which may be winking at you from the $25 shelf. In desperation you can buy two cases or more. This provides some additional surplus dollars should the apple of your eye be significantly higher. So, as long as when you are loading the rear of your car with the purchases you can confidently divide the total spent by the number of bottles and arrive at a number that is 12 or less, you are sitting pretty. A frugal life does not have to be a life devoid of simple pleasures, whether of the eye or the palate. We normally collect our weekly quota of milk during milking time as it is easier to fill a 20 litre container from the pipe going to the vat than ladle it from the vat a litre at a time afterwards. As part of the visit, it seems only polite to stop and chat to the farmer and pitch in with helping to wash out. The opportunity of company is warmly received and to shorten the milking time with some assistance is always valued. Most small dairy farmers spend a lot of time working on their own and generally they are a social group. It wasn't long before this routine of stop and chat and wash out moved to helping with the fitting and removing cups as the chat extended. This once weekly visit became a valued addition to the loneliness of milking and the dairy farmer reciprocated in kind. One thing that dairy farmers have a lot of is manure. 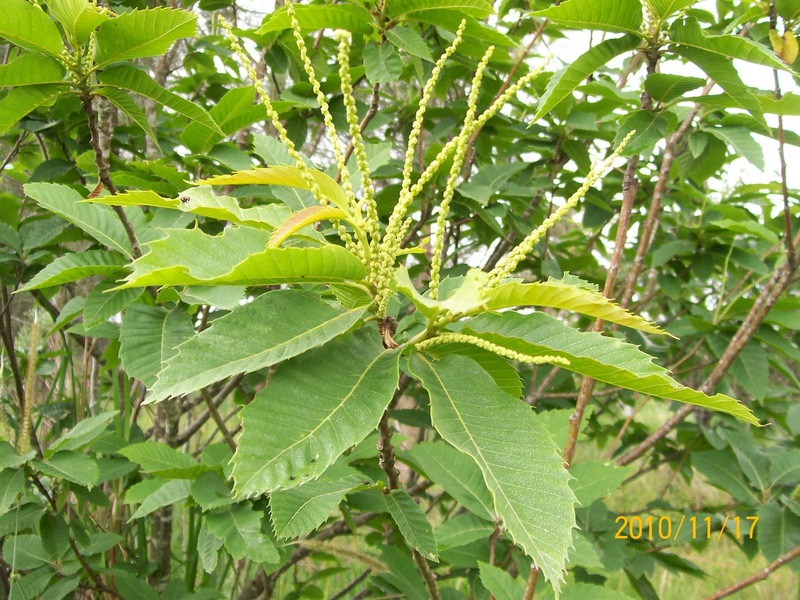 It accumulates rapidly and usually in places where it is not required. The offer was simple. If we wanted to remove the manure out the dairy yard (a concrete pad at the entrance to the dairy) from time to time we could keep all the manure. Well what a bonus! Endless amounts of manure for the orchard. Each pick up every 3 to 4 weeks resulted in nearly a trailer load. 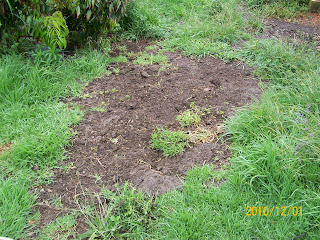 This was dumped in windrows between the fruit trees in the orchard. The chooks were in heaven spending all day scratching and spreading with their legs, showing brown high tide marks by day’s end. And then of course there was the Christmas Bonus ie a share of the sediment pond when it is cleared annually. This provided 3 or 4 groaning trailer loads of soft well fermented manure. One of the continuous tasks on any large property is the renewal of fencing. 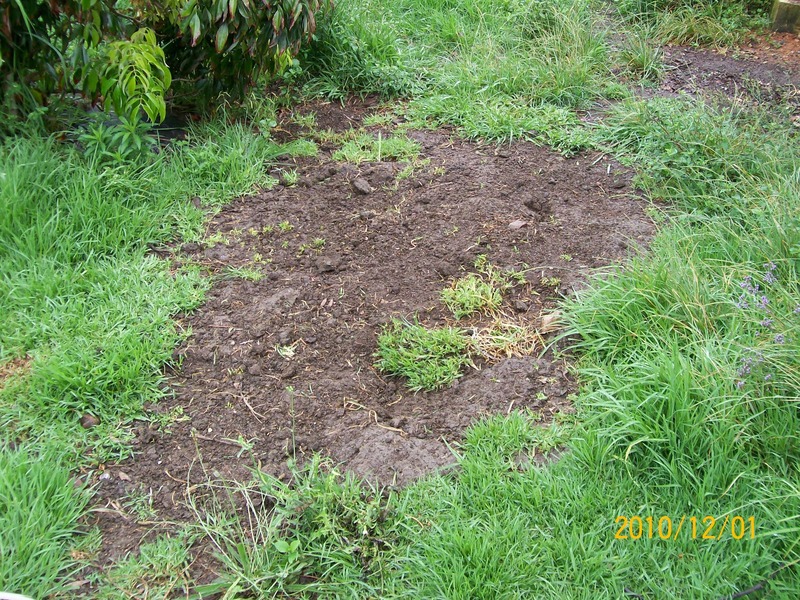 On a dairy farm this is particularly evident as the property is broken into many more grazing cells. This farm had been in the family for generations and the farmer is in the midst of replacing grandfather’s fences on the rich alluvial flats. A lot of time is spent pulling and winding up kilometres of rusty barbed wire before removing the aged ironbark posts and in some cases even rails. 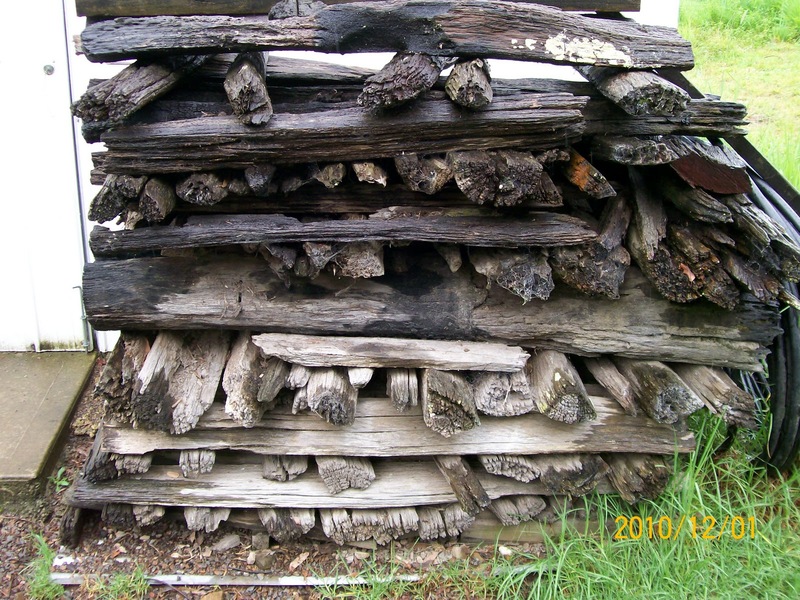 We seem to be always on the lookout for firewood for heating during winter and the idea dawned that a trade may be possible to the benefit of both parties. The idea was broached and accepted enthusiastically. 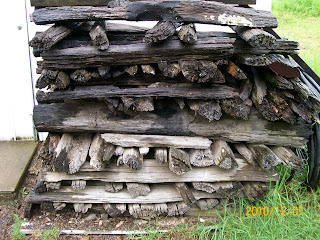 In return for removing the fences we keep the very aged timber. In addition, we could use the farm equipment to do the task. This was soon followed by the offer of paid work to assist in the erection of the new fencing. From time to time we have a need to borrow specialised tools or equipment from friends or neighbours. Usually items which you would only use once in a while and not something to justify a purchase. We always return them promptly and in better working order if possible. A sharpened chainsaw, a little rust removed and paint applied, fuel topped up, some oil or grease where necessary or even some cheese and wine as a thank you. It’s not surprising that these friends and neighbours are enthusiastic about putting their tools in our safe hands. Our belief is that along with the tools comes the responsibility of fixing it if you break it. We have a strong belief that it is important to be generous with your time and to demonstrate willingness to do a good job and to not have expectations and not want something for nothing. The benefit of having no expectations is that you cannot be disappointed only gladdened when reciprocal generosity is demonstrated.